World Book Day: Take a leaf out of JK’s book and master the art of dressing to impress! JK Rowling always knows how to stay on the tasteful side of bling whether it’s attending the Brit Awards or the Premier of Fantastic Beasts. Drop earrings convey power, elegance and emphasise her great cheekbones - whether you go for shoulder grazing chandeliers or discreet ear-danglers it depends on your face shape and structure. 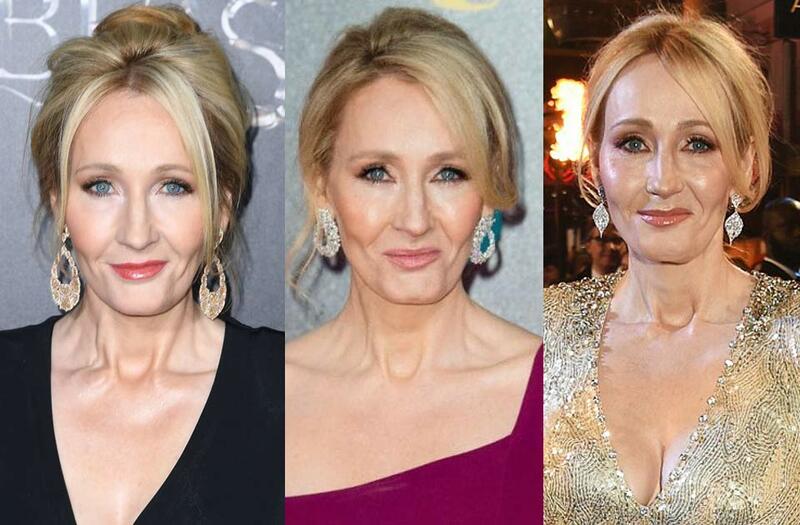 JK’s are perfect for her longish face and fine bone structure. We think our fantastic clear crystal cone wrap earrings with a beautiful shimmer effect would be right up her Diagon Alley.